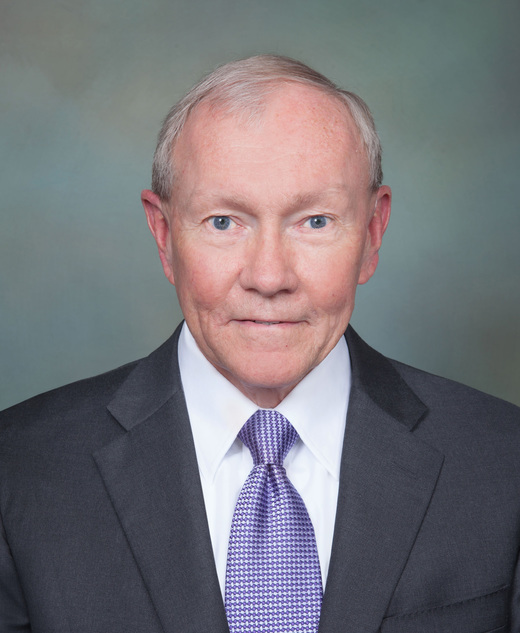 A specialist in leading effectively and operating in complexity, General Martin Dempsey shares experienced insight on security in a multifaceted geopolitical environment, the 21st-century challenges facing the U.S., and capturing innovation. General Martin Dempsey specializes in the complexity that characterizes today’s strategic environment. A decorated four-star general, Chief of Staff of the U.S. Army, and Chairman of the Joint Chiefs of Staff, Dempsey brought his impeccable military record to his role as the nation’s highest-ranking military officer and the principal military advisor to the President, secretary of defense and National Security Council. He is recognized for deploying a multifaceted strategy that recognized the increasing intricacy of the global landscape and the key attributes that leaders must possess to succeed. Dempsey now brings his extensive leadership qualities to the Chairmanship of USA Basketball. Elected to the post by the board of directors, Dempsey will lead USA Basketball through the 2020 Olympics in Tokyo, Japan. 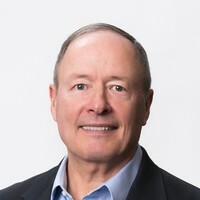 He also joined the prestigious Duke University’s Fuqua School of Business and Sanford School of Public Policy, where he teaches courses on American civil-military relations, management, and leadership. In an environment driven by globalization, the diffusion of technology, and international demographic shifts, Dempsey understands how to drive success at every level of an organization. 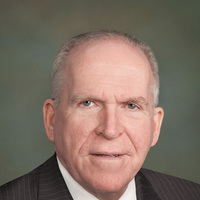 With an exceptional career spanning more than four decades, he shares his extraordinary viewpoint on leadership and examines a wide range of pressing issues—from the urgent requirements of evolving cybersecurity concerns, conflict and crisis management, innovation and negotiation, to America’s unique role on the world stage. Dempsey is remarkably able to tackle these tough topics with coherence, candor, and a refreshing sense of humor while offering tangible solutions and actionable takeaways to audiences. SEMINAR OVERVIEWLeaders today face challenges that have always existed but also challenges that are new, dynamic, complex, and cannot be ignored. This seminar will systematically examine today’s leadership environment to determine what’s new and what’s not. The instructors will share experiences from the highest levels of government and business to illuminate these challenges and to propose leadership principles for addressing them. In addition, the seminar will provide participants with opportunities to practice the application of these principles through customizable exercises and group experiences. Participants will walk away not only with a stronger understanding of the current and future environment, but with the practical skills necessary for grappling with the implications of leading in our rapidly evolving world.The environment in which we now lead. In the first part of this session we will discuss changes in the leadership environment. We will discuss the distinction between complex and complicated, the accessibility and speed of information, the vulnerability of facts, the influence of digital echoes on both leaders and followers and the competition for trust and confidence in which leaders now find themselves. The enduring leadership principles. In the second part of this session, drawing on examples from both the instructors’ experiences and current events, we will draw out three enduring and important leadership principles: Give Them Memories (Belonging), Make it Matter (Meaning), and Learn to Imagine (Learning from Weak Signals).The emerging leadership principles. Once again drawing upon both experience and current events, we will draw out three emerging and increasingly important leadership principles: Develop a Bias for Action, Empower Subordinates to Co-Create Context, Understand How to Relinquish Control to Preserve Power. We will discuss how these principles must be supported by certain leadership instincts including Listen, Amplify, and Include. We will conclude this session with a discussion of the concept of Radical Inclusion and why it is the necessary pragmatic leadership response to change, complexity, speed, accessibility, and affordability. EXERCISESThe Ace: Demonstrating the unseen challenges of being a leader5 for 25: Quickly finding solutions and fostering innovation from the edges of the networkBreak-Outs: Developing tangible next steps to solve a real problemThe Fish Bowl: An inclusive, facilitated conversation with instructors and participantsRole Playing: Seeking presidential decision on Afghanistan troop levelsRole Playing: Implementing SECDEF directive on women in serviceLENGTHThis customizable seminar can be delivered in half-day, full-day, or two-day versions for groups of any size with an option to kick-off the event with a dinner, moderated discussion, and Q&A session with the instructors the night prior to the event. It never ceases to amaze me what truly brilliant leaders we have in our military. General Dempsey displayed this over and over tonight. 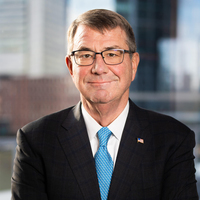 Capable, competent, charming - a complete citizen-warrior-diplomat. General Dempsey gave a quote by William Butler Yates, "Talent perceives differences; genius, unity." He spoke eloquently, with a deeply thoughtful and diplomatic nature. General Dempsey's ability to use metaphor to make an extremely complex issue easily understandable was amazing. His wonderful sense of humor was an extra bonus! He has the gift of a seanchi, a traditional Irish storyteller/historian. His love of literature and history are evident as he clearly shares his military and personal experiences. He communicated complicated geopolitical concepts in ways my 15 year old could understand. "So THAT'S what Russia is up to!" She said after the presentation.